Can be stand alone or incorporate water falls, streams and cascades, maybe even linking more than one pond. Ponds can be eco-friendly encouraging wildlife into your garden, purely ornamental or completely extravagant, we have done them all! 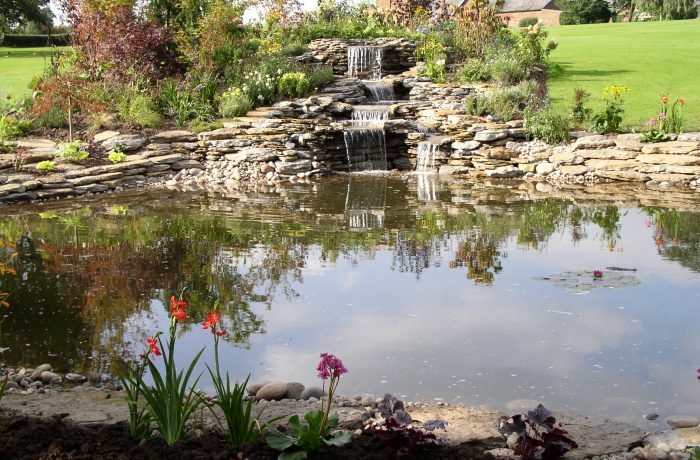 Children and pets needn't exclude you from having a pond, there are a number of products available to make your water feature as safe as possible such as invisible grids over the water, pebble ponds with no actual pond just a covered sump etc.